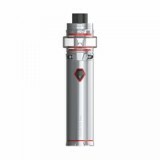 Stick V9 Kit is the upgraded version of Stick V8 series, including a built-in 3000mAh Stick V9 battery and a TFV Mini V2 tank,5ml/2ml capacity for selection. The SMOK Stick V9 Kit is the upgraded version of Stick V8 series, including a built-in 3000mAh Stick V9 battery and a TFV-mini v2 tank. Stick V9 Kit has the same appearance and similar functionality as Stick V9 Max, but it is powered by 3000mAh built-in battery, while Stick V9 Max is powered by a 4000mah battery. SMOK Stick V9 Kit has the intelligent LED indicator which can to show you clear battery power. Along with the multiple protections, it will ensure a safe vaping environment. With the distinctive pentagon power button, it is easy to operate. 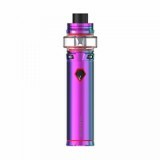 The TFV-mini v2 Tank tank adopts Pyrex Glass Tube #5 with 2ml large e-liquid capacity to enable a carefree vaping life. It uses the retractable top filling system. 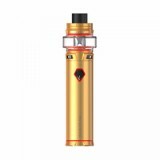 In addition, the Stick V9 Kit works with Baby V2 S1 Coil or Baby V2 S2 Coil, which are custom-made coils for Stick series battery, focusing on lower wattage but intense clouds and flavor. Available in 7-color, red, blue, black plating, gold, and stainless steel. • The original SMOK Stick V9 Max Starter Kit 4000mAh are also available in BuyBest. 이 tfv 작은 v2 상자 위한 # 5 유리 파이프 담배를 수 있는 능력을 큰 e-liquid 근심 걱정 없이 vaping 생활. 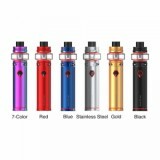 Smok - Stick V9 kit tiene el indicador LED inteligente que puede mostrar claramente la energía de la batería.Junto con las múltiples protecciones, va a garantizar un entorno seguro vaping.Con el distintivo de Pentágono, boton de encendido, es fácil de operar. The SMOK Stick V9 Kit is the upgraded version of Stick V8 series, including a built-in 3000mAh Stick V9 battery and a TFV-mini v2 tank. Stick V9 Kit has the same appearance and similar functionality as Stick V9 Max, but it is powered by 3000mAh built-in battery, while Stick V9 Max is powered by a 4000mah battery. goood!